There’s no doubt about it…Southern California is the place to have a boat. From enchanting and picturesque coastlines to top-notch cruising destinations to fun and cool events, SoCal has it all. Not convinced? Read on, and we’re sure you’ll find plenty to get excited about. Southern California is home to dozens of fantastic cruising destinations. Whether you’re looking for a relaxing weekend getaway or a bigger adventure on your boat, you’re sure to find the perfect spot for some sun, sand, and sealife. 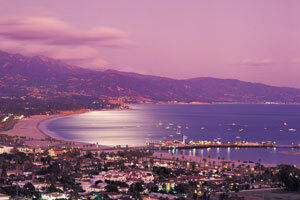 Santa Barbara, California, also known as the “American Riviera”, is one of the most popular tourist destinations in California. Santa Barbara is known for its pristine beaches, wonderful Mediterranean climate and an amazing array of activities, shops, restaurants and culture. 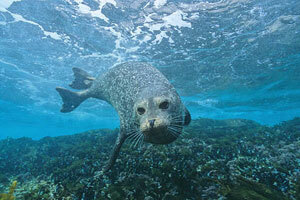 You’re sure to see dolphins, sea lions, and other majestic sea creatures so bring your camera. Whether you’re sailing up the coast and taking in the sites, or you choose to explore the town, enjoy some world-class dining, go shopping, hiking, or horseback riding, you’re sure to have a memorable vacation! Close to the California mainland, yet worlds apart, Channel Islands National Park encompasses five remarkable islands (Anacapa, Santa Cruz, Santa Rosa, San Miguel, and Santa Barbara) and their ocean environment, preserving and protecting a wealth of natural and cultural resources. Isolation over thousands of years has created unique animals, plants, and archeological resources found nowhere else on Earth and helped preserve a place where visitors can experience coastal southern California as it once was. The park bridges two biogeographical provinces, and in a remarkably small place, harbors the biologic diversity of nearly 2,500 miles of the North American coast. The Channel Islands and their encircling waters are home to over 2,000 plants and animals, of which 145 are found nowhere else in the world. Like the Galapagos Islands of South America, isolation has allowed evolution to proceed independently on the islands. Marine life ranges from microscopic plankton to the blue whale, the largest animal to live on earth. Archeological and cultural resources span a period of more than 10,000 years of human habitation. Catalina is an oasis of romance and adventure located off the Southern California coast, where the pressures of everyday life melt away, replaced by warm memories and cherished experiences. Sheltered from development and protected from urban sprawl, Catalina offers dramatic vistas and native flora and fauna, crystal clear waters teeming with marine life and sweeping vistas of rolling hills and cliffs. You’ll find plenty of exciting and relaxing activities like snorkeling, kayaking, scuba diving, and more. The charming city of Avalon, the Island’s only city, provides fine dining, shopping and day spas along with bed & breakfasts and boutique hotels. If you’re interested in venturing a little further, the rustic village of Two harbors hosts campers and boaters among its lucky guests. The Coronado Islands never fail to evoke feelings of awe and amazement. A chain of four islands located just 15 miles South of San Diego, “Los Coronados” are protected by the Mexican Government as a nature preserve for migratory sea birds, marine mammals and the myriad of marine life found there. The islands are a geologic wonder with natural bridges, sea caves and pristine crystal clear waters that are host to one of the most abundant marine eco-systems in the region. These islands have also enjoyed a rich and colorful history from harboring 18th & 19th century pirates to housing a prohibition era casino and bootlegging operations. Explore the islands’ rugged coastline and secluded coves, and take in the marine life like dolphins, harbor seals, sea lions, elephant seals, gray whales, and more. Keep in mind, you aren’t allowed to actual venture ashore, but you’re sure to find plenty of fun things to do along the coastline. 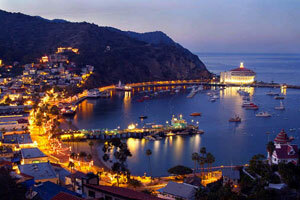 In Ensenada, only 80 miles south of San Diego, travelers can get a taste of Mexican food, culture and nightlife. Californians flock to this beautiful seaport town, one of the largest on the Baja peninsula, for rest, relaxation and excellent outdoor recreation activities. From surfing and sea kayaking to horseback riding and mountain biking, even the most discerning sportsperson will be impressed. Ensenada’s nightlife is also a big draw. Papas and Beer and Hussong’s Cantina serve up an on-going party atmosphere and lots of tequila, while nearby vineyards offer wine tasting in a more traditional and serene setting. Nature enthusiasts are wowed by the sight of gray whales and the underwater cave that randomly squirts water at onlookers. Whatever your interests, enchanting Ensenada will not disappoint. Originally a hiding place for English pirates, Cabo San Lucas found fame when John Steinbeck wrote “Log from the Sea of Cortez.” Shortly after, Cabo’s “Marlin Alley” became a celebrity favorite for big-game fishing. 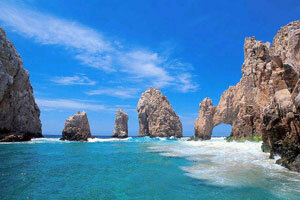 Today, it is one of Mexico’s prime resort destinations. Located on the Baja Peninsula, Cabo is still known for fishing, but it’s also gaining a reputation for its stunning scenery, near-perfect weather, golfing, water sports, underwater nature preserve, whale watching and nightlife. Described by Jacques Cousteau as “the worlds aquarium”, the Sea of Cortez is among the top places in the world to dive—you’re sure to be amazed by the variety and sheer quantity of marine life encountered surrounding the reefs there.. 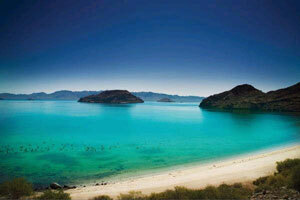 The Sea of Cortez is home to almost 900 species of fish. 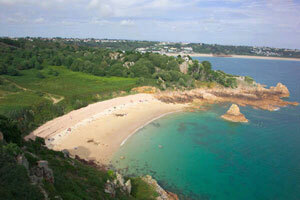 It is one of the most ecologically intact marine ecosystems in the world. There is 34% of all marine mammal species, one third of all the worlds dolphin and whale species and a great diversity of macro invertebrates. Desert cactii dot the sheer rock faces that descend into the blue of some of the most biodiverse waters in North America. Underwater topography is a mixture of sandy slopes dropping off to rocky walls, pinnacles with sheer sides that break the surface, oceanic seamounts and the most northernly coral reef ecosytem in the tropical western pacific. 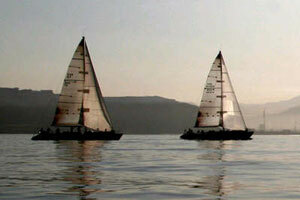 Looking for local information on marinas, harbors and yacht clubs in Southern California? You’re in the right spot. Click the links below for information on boating info by region. Whether you’re looking for a captain, a detailer, or someone to repair your gel coat, you’ve come to the right spot. Below is Ian’s rolodex of helpful boating contacts and resources. We hope you find it informative! If there’s something you can’t find, contact Ian and he’ll point you in the right direction.